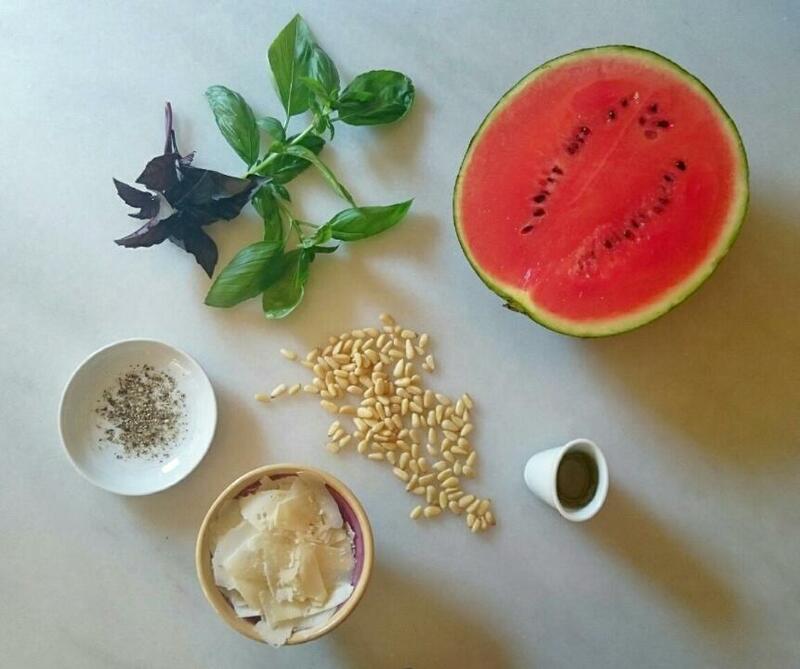 Today´s recipe is a good example of a “non-recipe”, an example of a concept or idea. As a simple association of flavours, they can be united and mixed in a way or another, depending on the sensitivity of everyone. At that point is where your creativity and imagination starts to kick out. 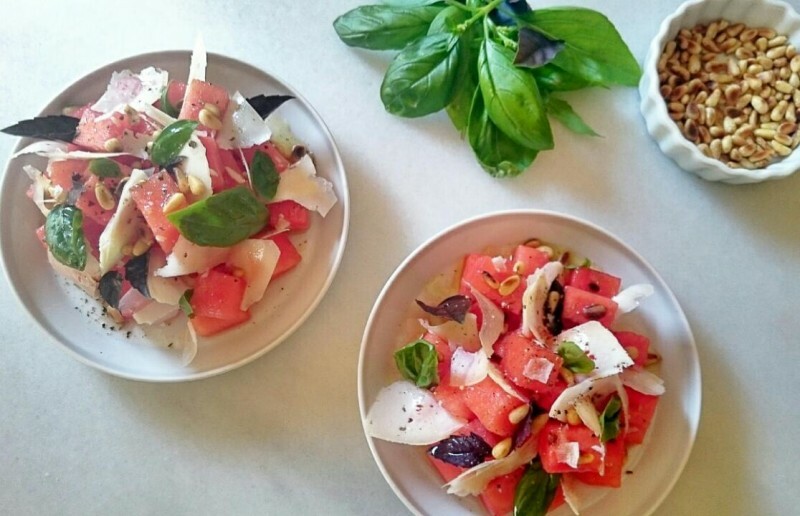 In today´s dish the simplicity is absolute. I use the traditional ingredients of the pesto but in their natural condition so that each of them stands out by itself and the set-up of the dish gets as easy as possible. (I don´t use garlic, but if you prefer to use it, you would need to use a garlic marinated oil so it doesn´t give a very aggressive touch). 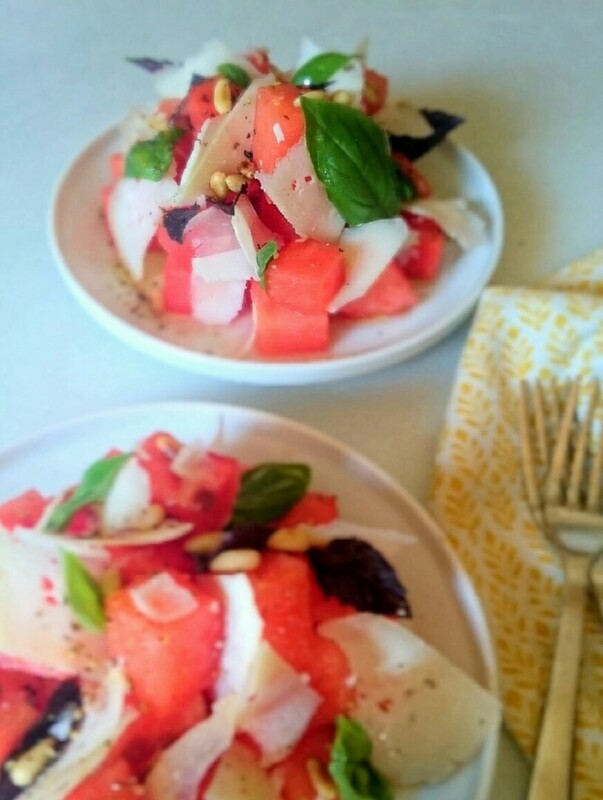 I was considering another option for this post, to make a carpaccio with the watermelon and over it, a traditional pesto with some chips of cheese and some arugula leaves. I need to try this version soon, because it could deceive the carnivorous ones because of the colors…at least, if you look at it from far away. Although pesto is traditionally made with parmesan, I have used a cured goat cheese made in this island. It is important to use quality products, as much as you can, that are elaborated close to the place where you live. It will give you a sort of belonging feeling, like if you were closing a cycle in a natural way buying something to the peasant farmer in your local market. When you are building a dish and the only ingredient which comes from far away is the Catalan pine nut (and not the Chinese one) with the rest of the ingredients being native to a close local area, the gratification you feel in return is huge. Roast the pine nuts in a pan till they start to get toasted. Let them cool. With a peeler, make chips with the cheese and let them aside. 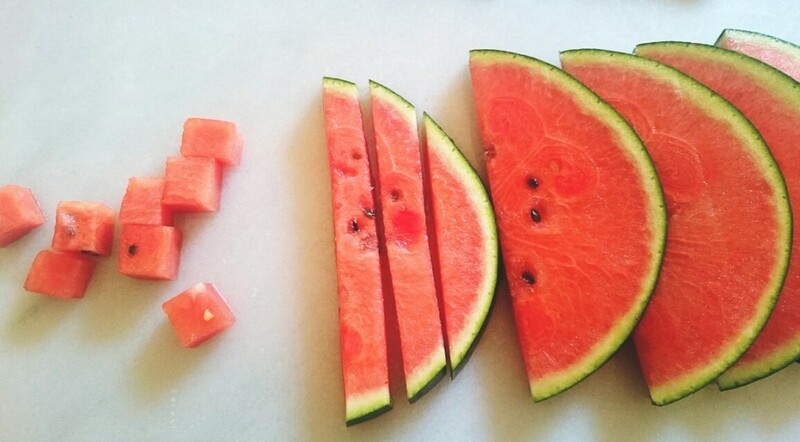 Cut the watermelon into squares. 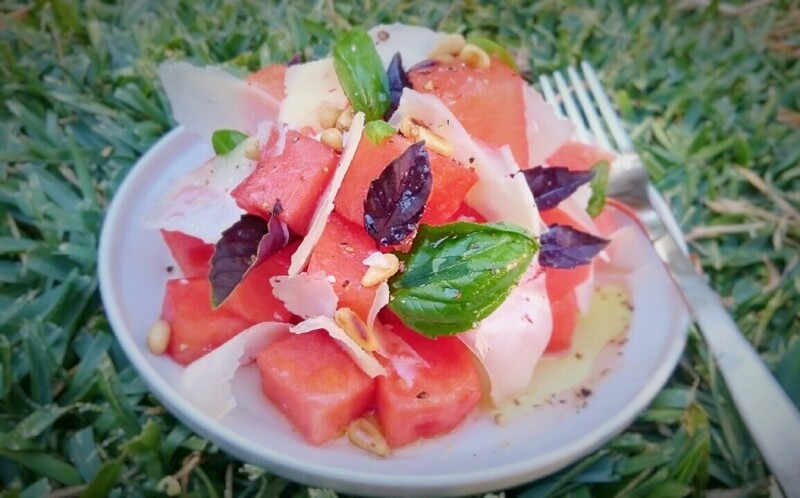 In individual plates, distribute the watermelon making a sort of "mountain" to give it volume and start dividing the cheese, pine nuts and basil. Add a drop of oil, salt and pepper.